"International Processing and Packaging Technology Event for Asia"
ProPak Asia is the best platform to connect to the regions rapidly expanding processing and packaging industries. 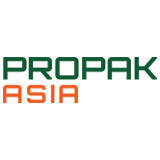 Going from strength to strength every year, ProPak Asia has a proven track record over 26 years of delivering the highest quality and quantity trade buyers, the greatest number and selection of international suppliers, and the best showcase of latest technology and innovations. very informative, innovative exposure.Thank you very much.Hope for next invitation of our sponsor, UBM. The exhibition is very interesting. If there is mobile application to find the booth location , it will be perfect. Located a possible new Pricipal, very good contact point and learning experience. More than 1272 exhibitors will display their range at Propak Asia and the products showcased in this show are Aseptic Processing and Packaging, Automation and Robotics, Bottling Technology, Brewing and Beverage Technology, Canning and Can Making, Coding, Marking, Labeling, Printing Materials and Technology, Confectionery Equipment, Cosmetic and Personal Care Processing and Packaging, Dairy and Liquid Processing Technology and Facilities Equipment, Systems and Supplies. The attendees will also come across Fish and Seafood Processing Technology, Flexible Packaging Technology, Food Ingredients, Additives and Flavorings, Food Processing Machinery, Food Safety and Hygiene Technology, Laboratory, Testing and Measurement Equipment, Logistics and Production Facility Equipment, Machinery Controls and Components, Materials Handling, Logistics and Storage Equipment, Meat Processing and Packaging Technology, Measurement and Weighing, Packaging Accessories, Packaging Machinery, Palletizing and Conveying Equipment and Paper and Corrugated Box Making Technology.